Cedar Falls High School will host the Team First Soccer Academy at the Cedar Valley SportsPlex March 2-3. The camp is bringing in world champion soccer players Mia Hamm, Tisha Venturini Hoch and Kristine Lilly who own a combined five Olympic gold medals, five World Cup championships and 12 NCAA titles. The Academy features a co-ed Youth Camp March 2-3 with a registration fee of $250 and a High School Camp March 2 ($150). To register, go online at teamfirst.teamsportsadmin.com/events. The 51st Iowa High School Baseball Coaches Association clinic and hall of fame banquet is Jan. 18-19 at the Marriott Hotel in Cedar Rapids. Clinicians will be Alabama head softball coach Pat Murphy, Iowa head baseball coach Rick Heller, Creighton’s Ed Servais, the New York Yankees’ Tyson Blaser, Justin Toole of the Cleveland Indians, and umpire Dan Pomeroy. This year’s hall of fame class includes Jay Ryan, Rod Unger, Bill Sandry, Lyle Gibson, Joe Nelson and Steve Fink. Coaches and umpires can register for the clinic and banquet online at www.iowahsbca.net. Tickets are on sale for Friday’s Waterloo West at Waterloo East girls-boys basketball doubleheader. All high school students must purchase their tickets at their respective school business offices prior to 1 p.m. Friday. No tickets will be sold to high school students at the door. Other restrictions also apply to ticket purchases. For more information, contact the East Athletic Office at (319) 433-2475 or the West Athletic Office at (319) 433-2707. 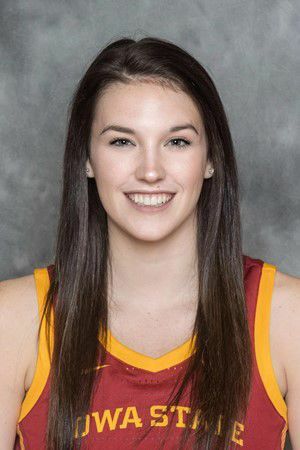 Iowa State senior guard Bridget Carleton has been added to the 2018-19 Wooden Award mid-season list. Carleton is one of just 25 student-athletes to earn a spot for the Wooden Award, which honors the nation’s top player. Carleton is leading the Cyclones and the Big 12 with a 19.9 points per game average, while also averaging 8.6 rebounds and 4.5 assists per game. Waterloo Columbus senior Lucy Klein has signed a letter of intent to compete for Hawkeye Community College’s new bowling program in the fall. Klein, a team captain and four-year high school bowler, owns a high game of 215 and a personal-best two-game series of 377. Iowa State football seniors Brian Peavy, Willie Harvey, D’Andre Payne and Matthew Eaton will compete in the 2019 NFLPA Collegiate Bowl, Jan. 19 at the Rose Bowl. Peavy is a four-time all-Big 12 selection and ended his career with 289 tackles, six interceptions and six forced fumbles. Harvey was an honorable mention all-Big 12 pick at linebacker in 2018 after ranking second on the team in tackles (76), sacks (3.5) and tackles for loss (9.0). Payne was a three-year starter in the secondary, earning honorable mention all-Big 12 accolades in 2017. He ended his career with 130 tackles, 13.0 TFLs and two interceptions. Eaton started all 13 games at wide receiver in 2018, catching 27 passes for 304 yards and two touchdowns. The University of Iowa has completed its 2023 football schedule with the addition of home games against Western Michigan Sept. 2 and Utah State Sept. 16. In addition, the Hawkeyes have set the dates for their annual Cy-Hawk Series showdown against Iowa State. 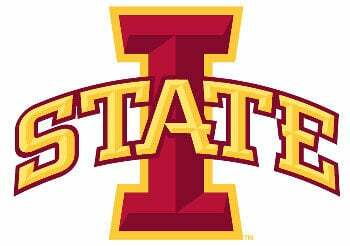 The state rivals will play Sept. 10 in 2022 in Iowa City and Sept. 9, 2023, in Ames. The complete 2023 schedule: Sept. 2 — Western Michigan, Sept. 9 — at Iowa St., Sept. 16 — Utah St., Sept. 23 — Purdue, Sept. 30 — at Wisconsin, Oct. 7 — Rutgers, Oct. 14 — at Northwestern, Oct. 21 — Michigan St., Oct. 28 — at Penn St., Nov. 4 — Minnesota, Nov. 11 — open, Nov. 18 — Illinois, Nov. 24 — at Nebraska.